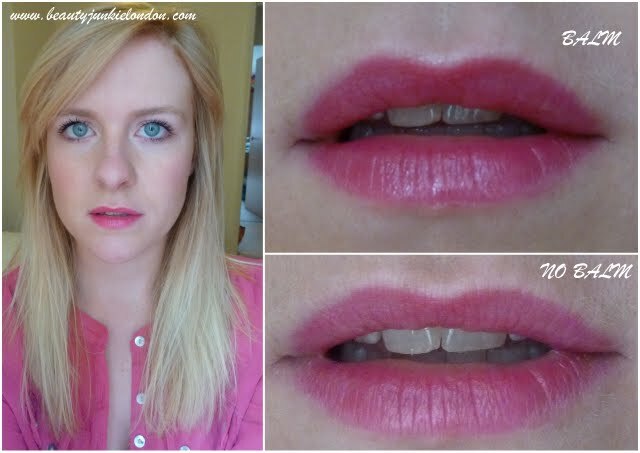 I’ve been recently loving this hot pink lip stain from Revlon. I’ve been wearing it every time I’ve worn the pink top in the picture and really like it. I’ve tried other lip stains and haven’t loved them anywhere near as much as this one and the main difference is the end with the balm. I really think the balm makes all the difference to how the balm feels, looks and lasts. 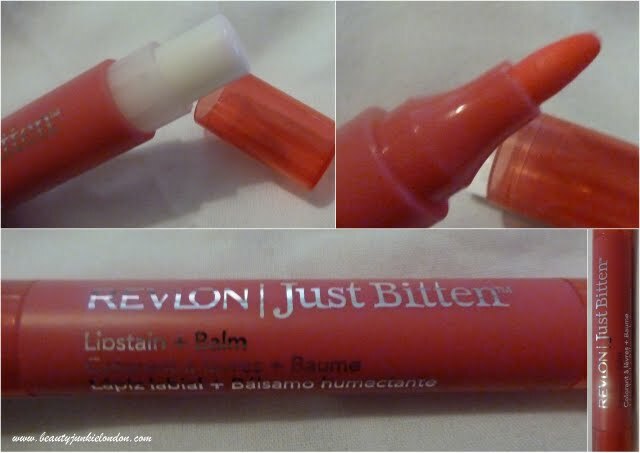 Lip stains can feel quite drying, but adding the balm stops this. The balm also makes the colour have a little something extra – a little shiny & a bit more pop of colour. I have a couple of other colours of these balms, but the bright pink is definitely my favourite. I just can’t get enough of bright pink lipstick! The stain doesn’t last all day, I wore this to work and had to touch up at lunchtime, but it definitely lasts longer than a standard lip colour. I find that it tends to fade unevenly – leaving bright colour around the edge of the lips but fading closer to the mouth – so have to keep a bit of an eye on it to make sure it doesn’t look a bit funny as it fades. I think it would work really well as a base for a bright pink lippie. Have you tried lip stains? What do you think?? Love the pic of you, you look adorable! I’ve seen a couple of posts on these now and everyone has raved about them. I’d be interested to see what other shades them come in, I’m not brave enough for the bright pink! Looks gorgeous on you though. I’ve been toying with the idea of buying one of these. I love the colour so I’ll definitely be trying one of these. I’d love if you could follow my blog and let me know your thoughts on it! I love this lipstain. I have pale lips but if I have lipsticks or glosses on they make my lips feel sticky, dont last, and my fiance doesn’t like kissing me in case he gets it on his lips lol, but this stain is great! It looks natural on my lips and I can kiss my fiance all I like and it doesn’t rub off. Even the balm isn’t sticky or oily. It usually last all day for me and will definately be buying more of these.